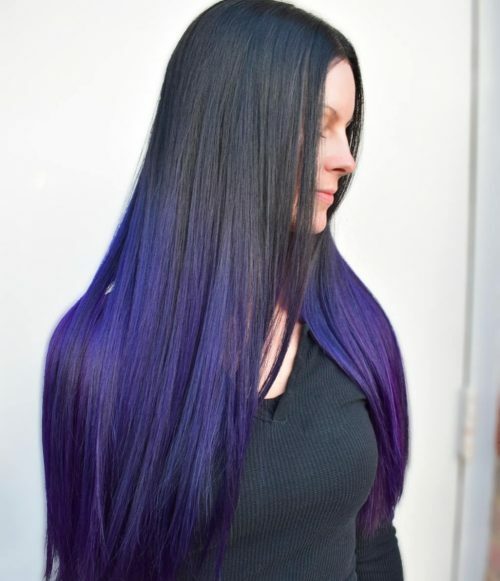 A black Ombre hair color is when your hair is gradually blended from a black hue to another color hue. 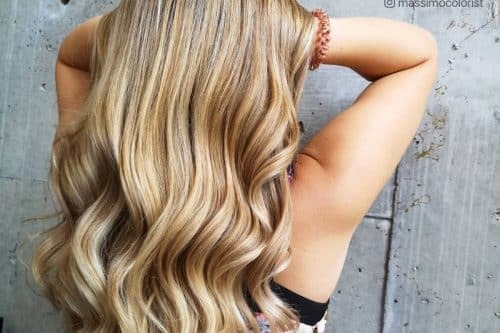 Typically, it’s blended from a dark color to a lighter color, starting at the top of the head and changing its shade down to the ends of the hair. 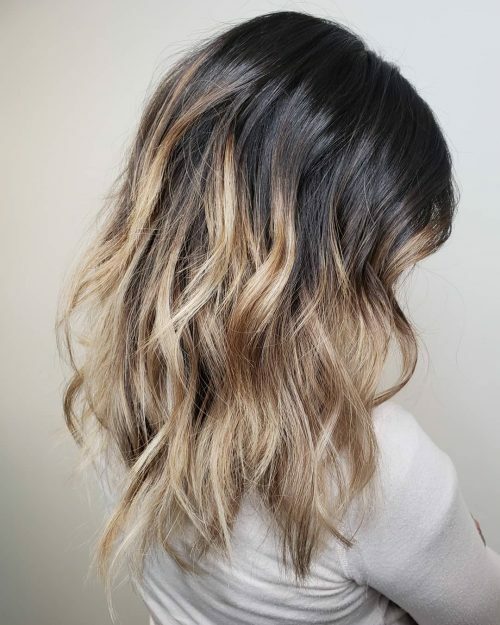 If it starts with a dark color and blends to a lighter color, then it’s referred to as a reverse Ombre. 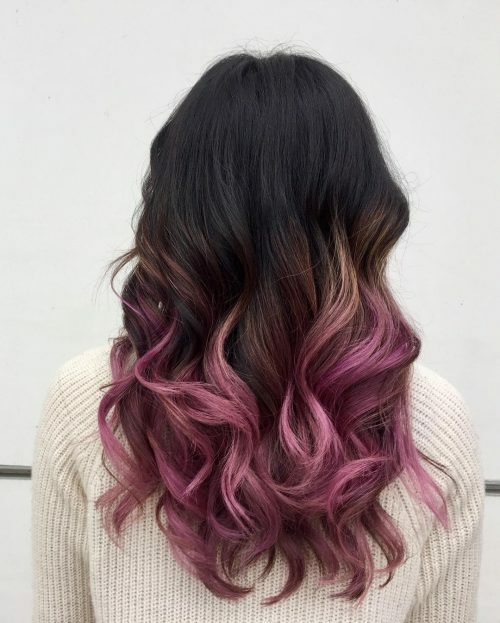 Black ombre hairstyles produce some great contrast. 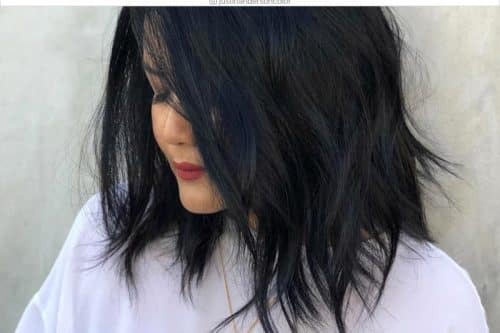 If you’re a firm believer that black hair shouldn’t be flat and dull then keep on reading to learn about the endless possibilities with one of these stunning photos of black Ombre hair colors! 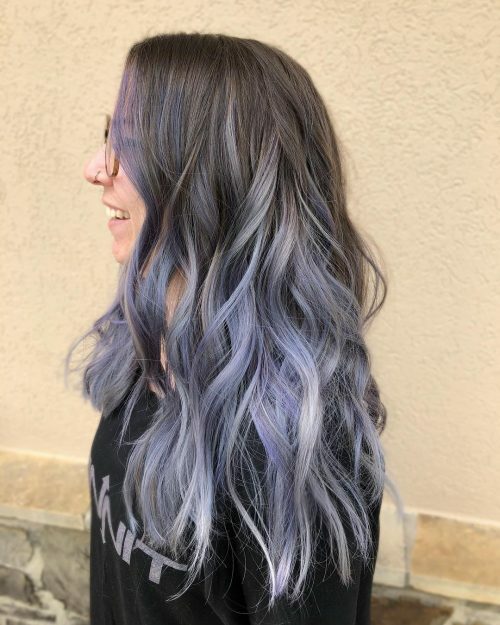 Lovely lavender Ombre works with any previous hair color. 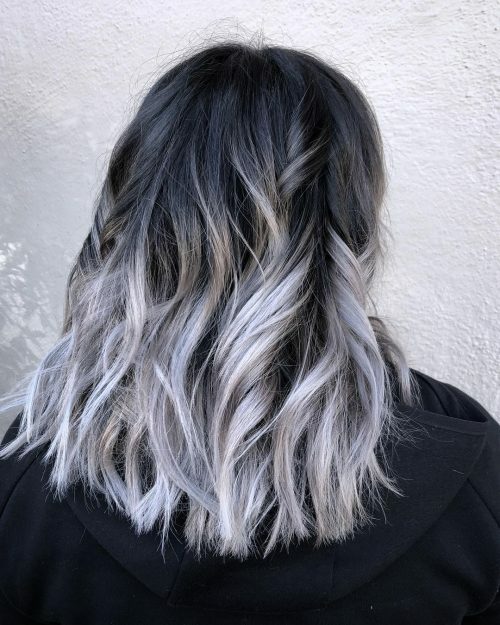 With your natural black roots, growing the hair out is not a problem at all. 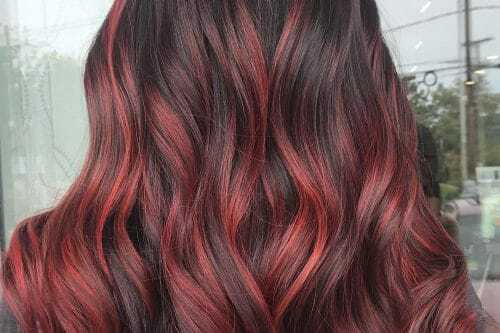 Wavey hair that hangs by the shoulder will add character and shape to your dark to red Ombre. 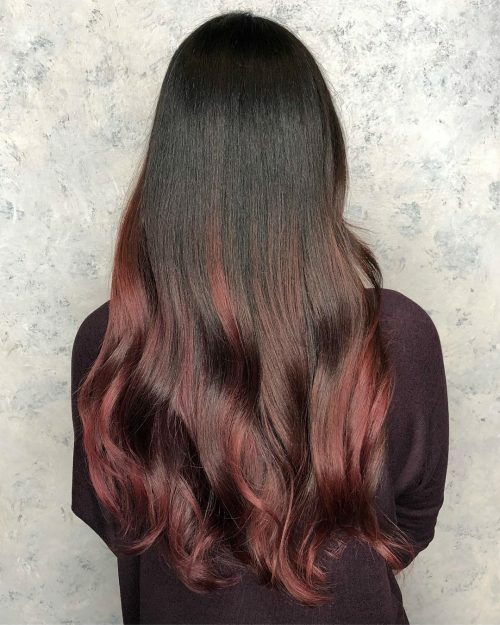 Rose gold has been a popular addition for black ombre hair. 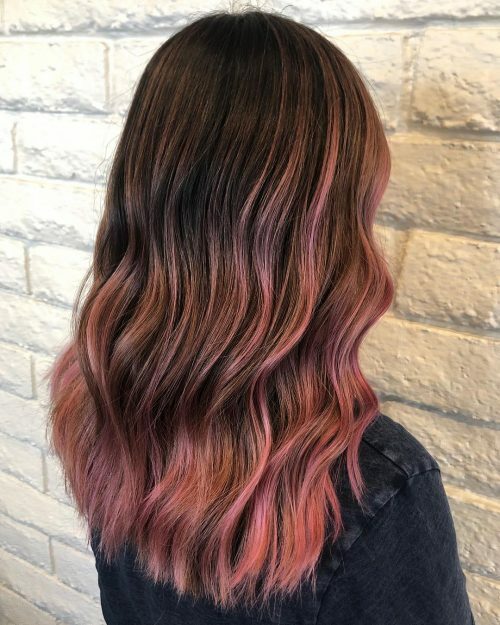 Add this to your top list of to-do hairstyles as colorist Natalie shows you how pink and black Ombre hair color is done! 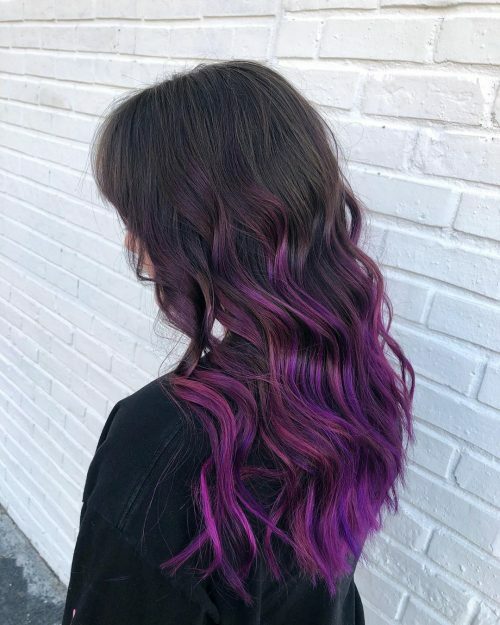 I love this reverse black ombre hair color! 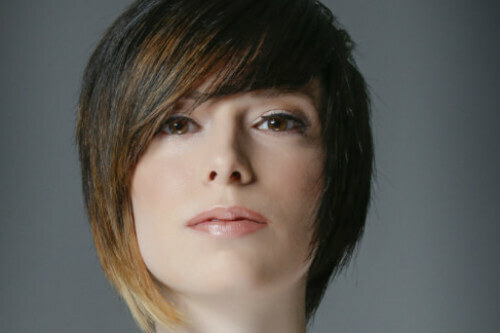 I love that it is a little bit edgy and still really easy maintenance for my client. 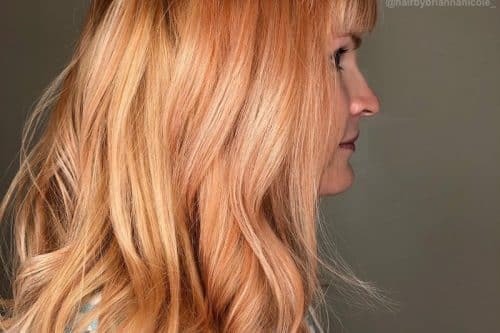 I started by giving her babylights through the top to create more contrast and blended down to a level 2N on her ends. 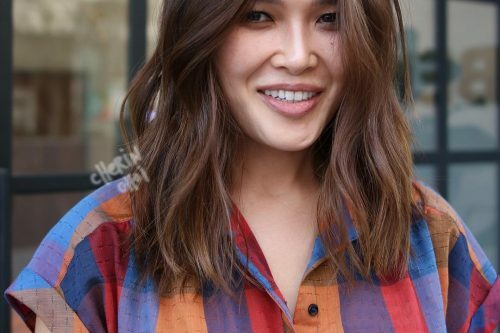 For her cut, I gave her long, blended layers and then styled her waves with a 1.25 barrel. 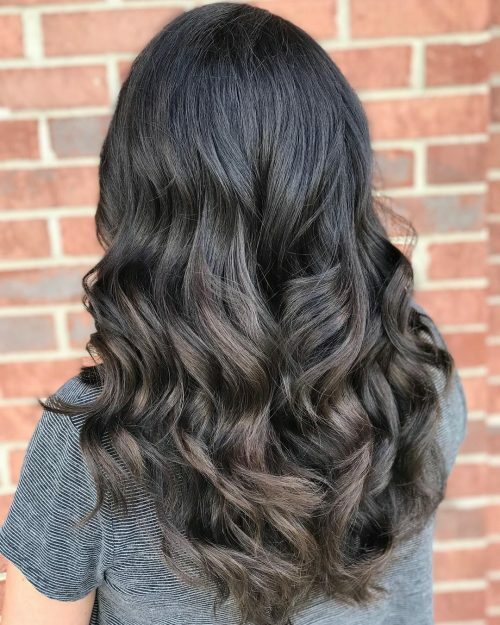 This black ombre hair color is great for a client who wants something different from the norm and doesn’t want to damage their hair with a lot of bleach. 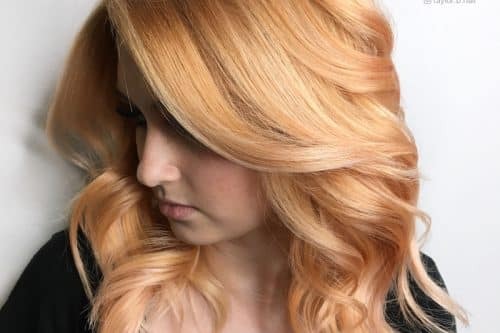 You will want to use a sulfate-free color shampoo and conditioner to keep your color fresh! 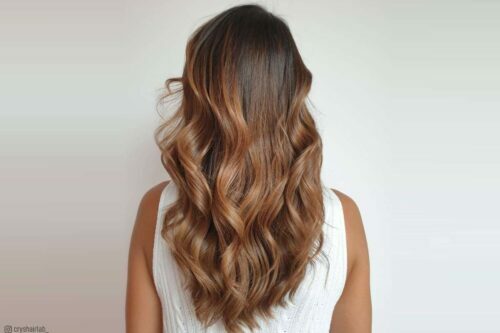 I also recommend a silkening mist or serum depending on your hair texture to keep it shiny. 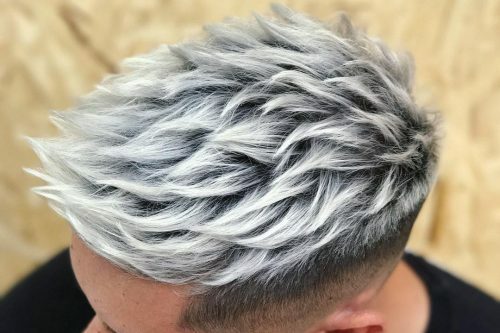 I think any style and hair texture could rock this look. 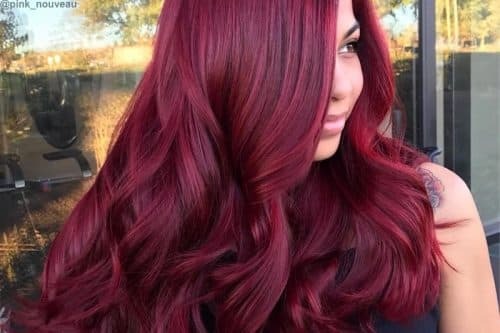 Keep in mind it’s a very warm tone. 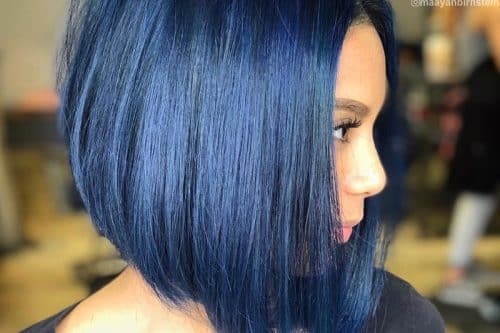 Make sure that tone fits your skin. 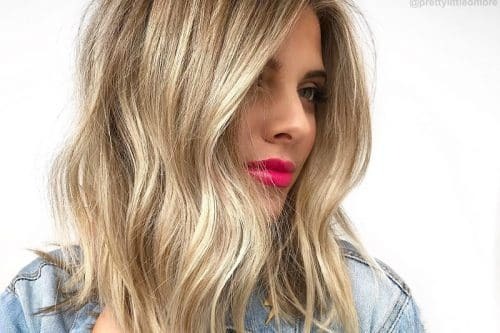 I love this style it’s very low maintenance with the root shadow/Ombre effect. 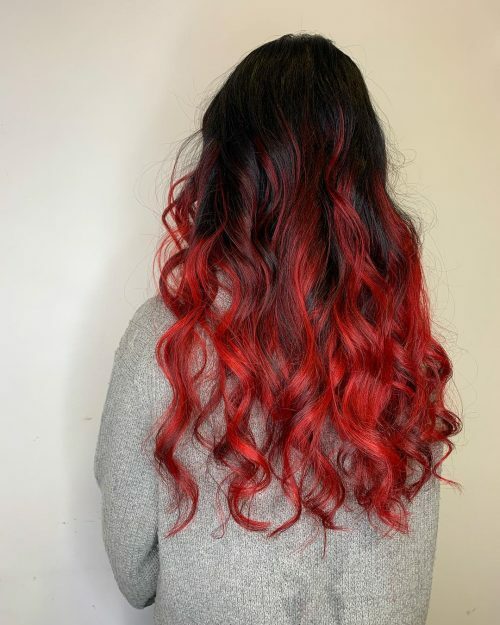 I always recommend a hydrating shampoo/conditioner with any of my Ombre clients to help keep shine after lightening the hair. 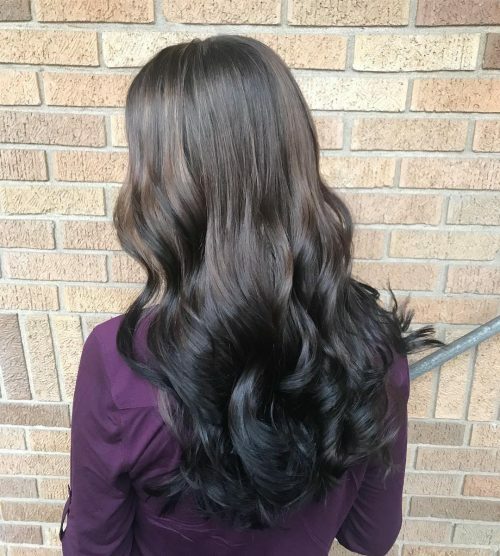 In this look, the color blends from a deep and dark brunette root into a natural ash brunette balayage Ombre. 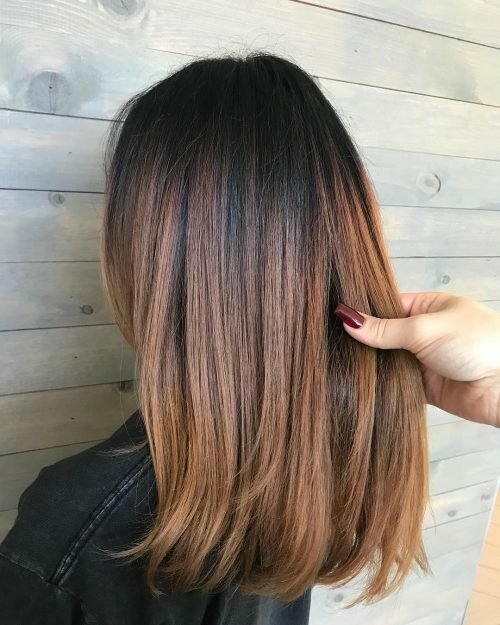 In this particular case, the client had the previous balayage on her hair, which I was able to apply a toner/gloss all over for that natural tone without altering the integrity of her hair. 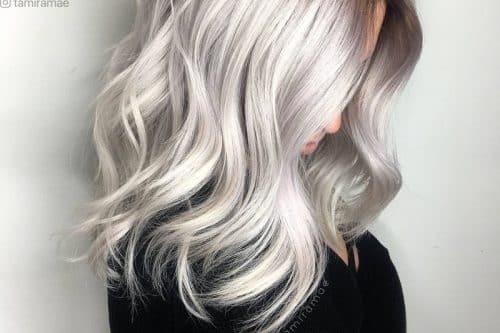 I love the subtle dimension in this color and the amount of cool and beige tones that are in it! 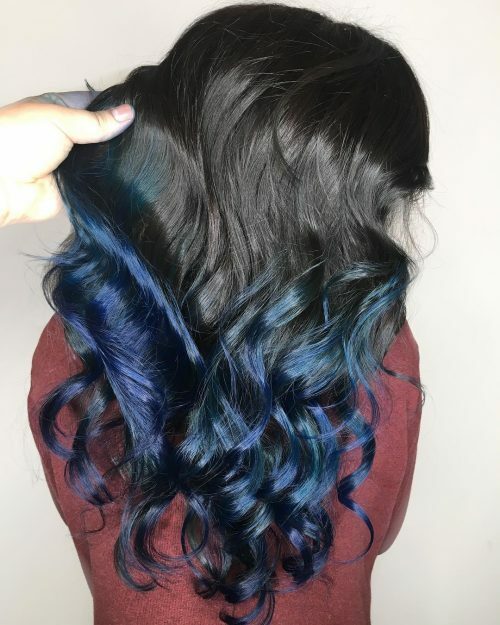 It takes the boring out of a traditional solid color! 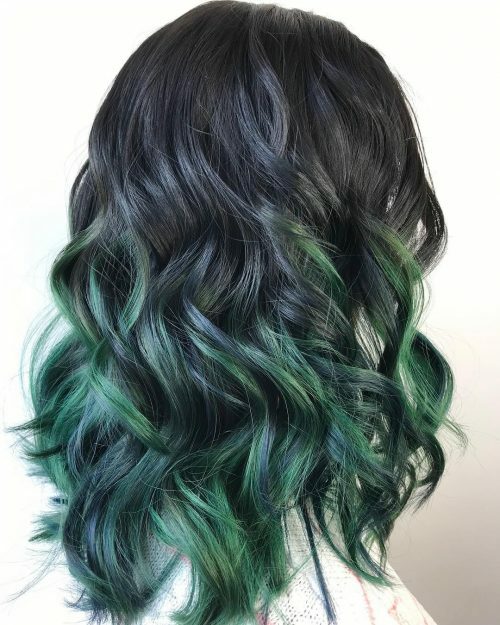 The look is a black to teal Ombre. 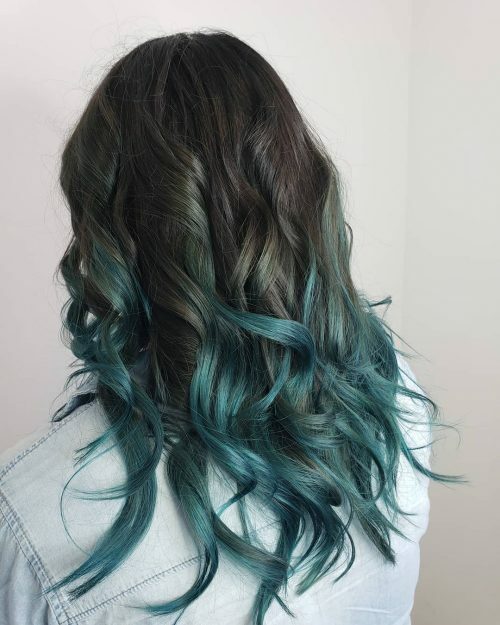 My favorite thing about it is the contrast between the colors, making the teal really pop! 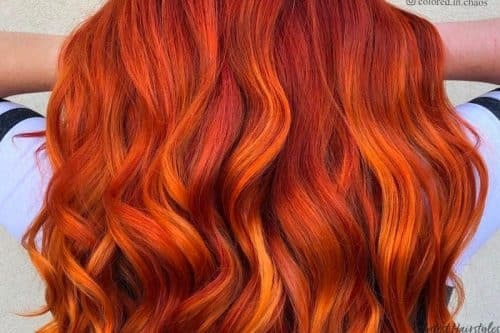 This color looks great curled or straight! 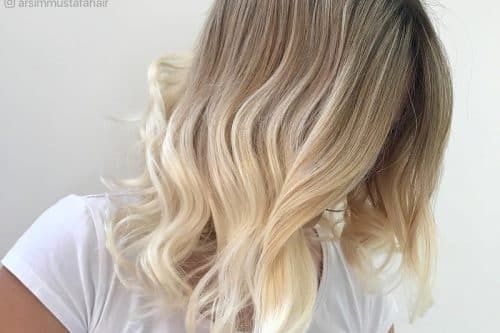 Secondly: Unless you have natural level 1 or 2 black hair you will have to get root touch-ups every once in a while to keep the look tied together and keeping the black ombre hair color seamless! 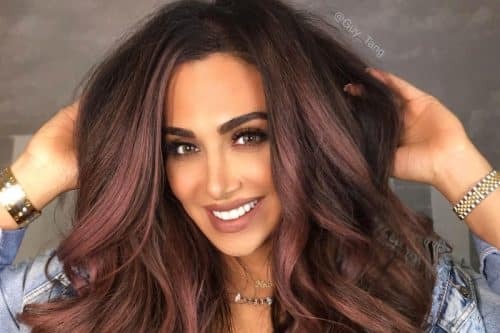 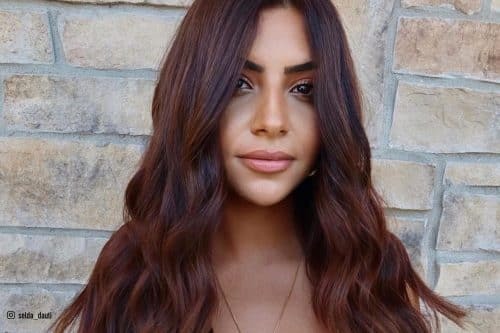 Pro tip: Ombre should always look good while straight but curling or waving your balayaged hair will turn heads for sure! 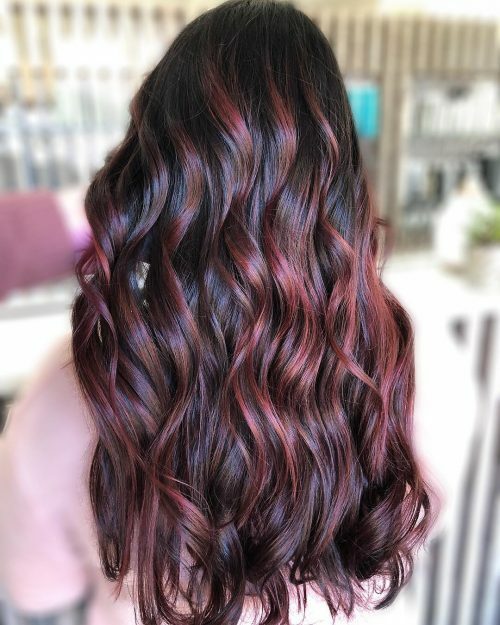 Curling shows so much dimension in the color of your hair!